The next national meet is in Pennsylvania, July 18-20, 2019. Welcome! 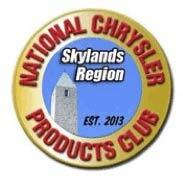 The National Chrysler Products Club (NCPC), created in 1979, is dedicated to the preservation and history of all Chrysler-built products, including the many brands which Chrysler was affiliated with, such as AMC/Jeep, Maxwell-Chalmers, and Sunbeam. 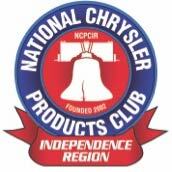 Our club motto is “Fun, Friends, Family.” Regardless of the Chrysler product you own, you’re welcome in the NCPC. From Arrow to Valiant, Challenger to Viper, Avenger to Ram...they are all part of the NCPC family. Each year, we hold a three-day national meet, with group activities such as driving tours and a judged car show on Saturday, culminating with an awards banquet at the host hotel. We invite you to look around our site to see what the NCPC is all about. We also urge you to contact any of our officers should you have questions. Finally, our local regions also welcome you to attend their meetings to meet the NCPC folks. If you want to join, see our store/membership page. The Journal (our quarterly club magazine), mailed to each member, has features about club members and their cars, region updates, and the “Musty Mopar Market” (free to members, $30 for a three-month advertisement for non-members) for buying and selling just about anything Mopar. The Journal is a good way to see the personal side of classic and new cars, and to keep in touch with NCPC — both locally and nationally. the Skylands Region in New Jersey. These local regions usually have their own activities, and are a fantastic way to stay connected with fellow club members in your area. Follow us on Twitter or Facebook — or join us now. 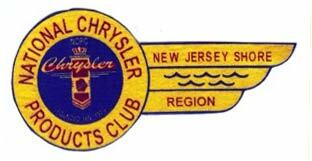 The National Chrysler Products Club is a non-profit corporation dedicated to the historic preservation, restoration, exhibition, and use of Chrysler product cars and trucks and its early predecessors; the collection, recording and preservation of Chrysler product historical data; the dissemination to the public of the story of Chrysler Corporation’s contributions to the automotive industry; and the promotion of good fellowship and cooperation among members.